Only a week after meeting in the English Premier League, Arsenal and Liverpool clash again in the round of 16 of the FA Cup. 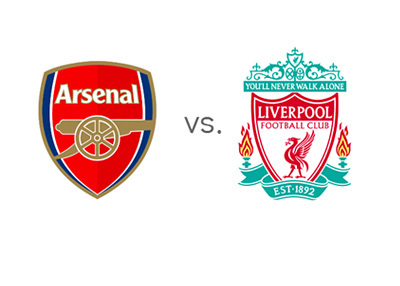 The game will take place on Sunday, February 16th, 2014 at the Emirates Stadium in London. Liverpool trashed the Gunners last Saturday with the score of 5-1. It was 4-0 after only twenty minutes of play. Considering that Arsenal are facing Bayern Munich in the UEFA Champions League on Wednesday, Arsene Wenger might choose to rest several of his first-team players on Sunday. It should be interesting! Arenal most recently played 0-0 at home with Manchester United. Mesut Ozil & Co. were the better side and they had more chances. It was a tight match and both teams seemed content with a draw. The Gunners are currently second in the EPL tables, two points ahead of Man City (who have played a game less) and one point behind first place Chelsea. It's a big week for Arsenal! The FA Cup and the UCL are on the line. Liverpool are flying high at the moment. After dominating Arsenal, Brendan Rodger's side beat Fulham away with the score of 2-3. The Reds came from behind twice and finished Fulham off in injury time. It was a good performance and now Liverpool are only four points behind Chelsea and back in the title race. It will be interesting to see what lineup Brendan Rodgers comes up with for the FA Cup match, considering their next one is a full week away. Earlier in the season Arsenal beat Liverpool 2-0 at the Emirates. According to the odds, it will be a close one. Arsenal are the slight favourites to win, while Liverpool are the slight favourites to advance to the next round. In case of a draw, the match will be replayed at Anfield. Arsenal are chasing trophies this season and the FA Cup could be viewed as the least important one. Will they go for it in full force or will they choose to rotate? After getting beaten down by Liverpool last weekend, the pride is on the line. Will Nicklas Bendtner play the full 90 minutes in front?